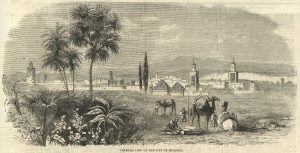 Marraeksh, one of the largest cities in Morocco, was a center of the trans-Saharan slave trade. The Illustrated London News, 10 December 1859. Courtesy of University of Missouri Libraries.